Since the mid-1960s, when Roy Simonson first wrote about the “multifunctionality” of soils, the multiple functions fulfilled by soils have been the object of sustained attention, not only from scientists but also from decision-makers in several countries. Conceptually, especially after the elaboration by Blum (1988) of a classification of soil functions (illustrated in the image above), the many different functions of soils are relatively clear and well-accepted. Blum’s classification, and a similar, more complete one proposed recently by the FAO, constitute very useful communication tools to explain to lay audiences, in simple terms, what soils do for human populations, and therefore how vital it is to preserve them. The interest generated by “ecosystem” services (ES) over the last decade has further fueled discussions on the relationship between soil functions and ES, and on the role of soils in the supply of ES. But one could argue that it has also caused some confusion. In the soil science literature, two conflicting perspectives exist relative to the respective articulation of soil functions and ES. One, in line with Blum’s classification, views soil-based ecosystem services as a subset of soil functions, restricted to benefits to human populations. The other, following the nomenclature used in the description of ES, considers that soil functions encompass all the physical, chemical, and biological processes that enable soils to provide services to human populations. Regardless of the perspective that is adopted, the hope is that soil functions/services could be used in decision-making affecting the fate of soil resources. Unfortunately, in this respect, the quantitative assessment of soil functions/services and of their performance under different land uses remains a significant hurdle. As a result, it generally ends up not being included in decision making about land development. In the scientific literature so far, there are virtually no direct measurements of multiple soil functions at spatial and temporal scales that are practically relevant. Soil functions can be estimated using proxy variables or indicator parameters, leading eventually to maps of soil functions, a number of which have been produced over the least few years. An alternative assessment method relies on modelling, in which in addition to statistical correlations (e.g., pedotransfer functions), detailed process understanding can be explicitly accounted for. Modelling can also help us move beyond the mere quantification of functions at a given instant, and quantify the temporal dynamics of soil functions (e.g., in response to external forcing). If we want the soil functions framework to become a useful tool for the preservation of soils in practice, it seems clear that in the next few years, the soil science community will have to devote increasing attention to the methods used to assess and model soil functions, and will have to find ways to facilitate this assessment in practical application to increase the use of such information for decision-making. To improve our chances of success in this area, it seems worthwhile to share our experience with conceptual advances that seem promising and with methods that appear to work in specific situations, to analyze practical examples of implementation, and to try to evaluate the likely future effectiveness of all this new information to steer sustainable land use change. 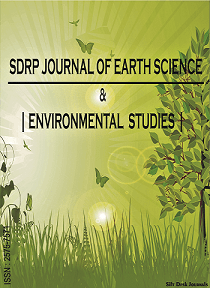 In this general context, the objective of the present Research Topic is to serve as an outlet for articles that deal with any aspect of the simultaneous assessment of multiple soil functions and their contributions to the provision of ecosystem services, from a conceptual standpoint, from the perspective of the development of new methodologies, or from the angle of practical applications to concrete problems and implementation for decision making about land use or land management change. Contributions on the concrete, practical side are particularly welcome, as are also papers that deal with some of the soil functions and soil-based ecosystem services that are less frequently assessed, let alone discussed, for example the preservation of cultural artefacts, or the role of soils as stock of genetic information (e.g., in the development of antibiotics or phage therapy). Manuscripts submitted to this research topic can have one of a number of formats: research articles, extended reviews, mini-reviews on specific topics, book reviews, or short opinion pieces.